Using a separate email account specifically for your search has several advantages. In addition to preventing emails from potential employers from getting lost among your personal messages, it also provides the opportunity to choose an email address and provider that best suit your individual needs. Choose a service provider based on your organizational habits. For example, Gmail offers an extensive organization system— including tabs, labels, folders, and color-coding— that might be perfect for some people, but overly time consuming for others. Do some quick research before settling on a service. When choosing the email address, keep it professional and searchable. Consider using a first initial and full last name. This way, potential employers can easily identify your emails from the rest. It is a good idea to designate a few times each day to check your email. This will help prevent distraction in other areas of your life. It also ensures that you can focus fully on your inbox, minimizing the risk of missing something important. It is important to do this multiple times a day, as it will prevent your inbox from filling with an overwhelming number of messages. Also try not to check right before bed, when you are tired and less likely to reply when necessary. Most— if not all— email providers offer folders for organizing your inbox. Whether or not you choose to use this or a different method (such as labels in Gmail or categories in Outlook), there are a couple of basic ways to structure a filing system. Feel free to mix-and-match these suggestions to fit your needs. This task-oriented system keeps you focused by what you need to do next. A folder named “Action” holds emails that require a response or some other task, such as choosing a meeting time or preparing a cover letter. The “Reference” folder should include emails about upcoming events and original job postings. Emails about meetings should be moved to the “Archive” folder once they have occurred, so that you can retain a record of the interview without cluttering your relevant messages. If you are investigating multiple types of jobs or applying to unpaid internships as well as paid positions, this system might be useful for you. Simply create a folder for each type of position they reference and organize your incoming messages accordingly. When designing your system, remember not to make it overly complicated— if it’s too time consuming, you’re less likely to use it consistently. 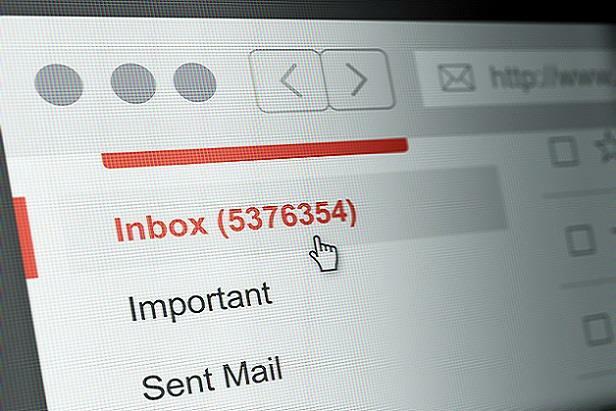 If there is an email you are concerned about forgetting or losing in your inbox, one short-term solution is to star, flag, or mark it as high priority (depending on your provider). This will make these messages stand out in your inbox and help remind you to go back to them. Just remember to unmark them when you are finished. Note that depending on filters or other services that automatically mark certain emails as important can be risky. Such categorizers can fail easily, causing you to miss important messages. Above all, keep your inbox tidy. If you receive e-newsletters, make sure you unsubscribe from any you aren’t reading. Consider creating a “rule” to automatically sort even the ones you do read into a separate folder (a simple internet search can teach you how to do this for your specific email provider). Immediately delete spam and any emails you no longer need.